This is the future of PE! The PE Suite: Harnessing Technology to allow Children to lead other Children’s learning – this is the future of PE. 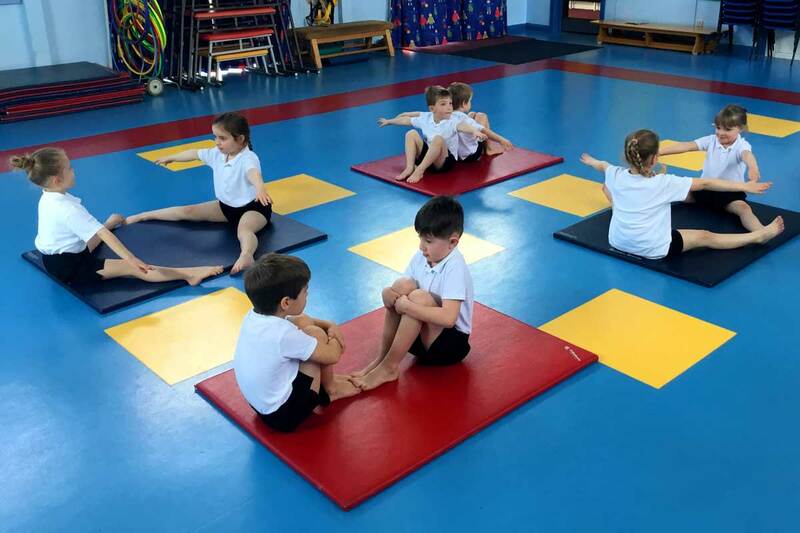 Although Primary PE has improved significantly since the allocation of funding to schools in order to improve the quality of teaching and learning, the reality is there is not enough funding for many schools to employ a full time PE Specialist. Although many primary school teachers have improved their skills through working alongside PE Specialists or sports coaches over the past 3 years, whilst funding has been in place, research shows that each individuals knowledge and understanding may have improved across some areas but still lacking in other areas when looking at the requirements of the full primary PE curriculum. For example, if a teacher has worked with a PE specialist for 6 weeks supporting a unit of gymnastics and then needs to teach hockey, they don’t necessarily have the knowledge and understanding that they need or the skills to feel confident in their teaching in that area. With wide-ranging current knowledge and research accumulated over decades that all advocates the huge benefits of exercise to a child’s physical, mental and emotional development, it is a fundamental essential that we all know cannot be neglected in the current primary curriculum, in order that we develop children to be healthy and well balanced individuals. My aspiration was to create a sustainable system for teachers bearing in mind the current funding allocation provided by the government. The concept was to develop an online platform, which contained CPD training for the full primary PE curriculum. A place which they could access at any time, from home or school to help with their planning and understanding of PE. I discussed this concept which formed part of my PhD with the Director for Olympic Sport 2012 and Rugby World Cup winning coach, Sir Clive Woodward who invited me to his company Hive Learning in Hammersmith. Hive Learning is an online digital platform that elite performers all over the world use to share information and resources. Using the same concept and digital platform that elite performers use to become world leading athletes, The PE Suite was created which hosts over 500 videos and resources across the full infant and primary curriculum that can be used to show children modelled demonstrations, skills, drills or samples of games, allowing them to watch other children demonstrating the key skills. This has a biomechanical advantage for children to try to emulate the actions of children, rather than copying adults’ demonstrations. For teachers in the schools who are currently using The PE Suite videos, the improvement in confidence has been immense. Unanimously, headteachers recommend this model as a concept to create a sustainable system in schools that really benefits teachers and pupils. The PE Suite resource is available at an introductory price of £195 for a years subscription. This special price is only available until 31st December 2016 when the price will increase to represent the extent and value of the resource.